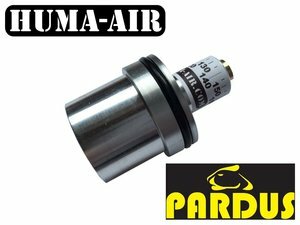 Huma pressure regulator for the Pardus AB55S airrifle. Huma pressure regulator for the Pardus AP55A airrifle. Huma pressure regulator for the Pardus AP55S airrifle. Huma pressure regulator for the Pardus AP65A airrifle.